By Shane McGlaun on 05/12/09 • Leave a comment! If you have never played Spore on the PC or Wii you are missing one of the coolest video games of all time. The original Spore lets players build their own creature and evolve it by adding new parts from a single cell organism to a creature, then to a space faring race. EA has announced that two new Spore titles are coming to the Nintendo platforms this fall. The Wii will get Spore Hero and the DS will get Spore Hero Arena. Spore Hero lets players create their own hero with over 250 parts and unique abilities. 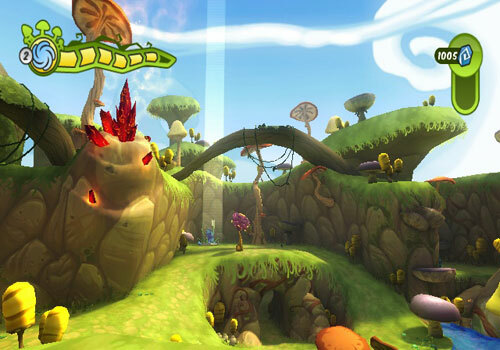 Players complete puzzles and missions to save their planet as they upgrade their character. By Shane McGlaun on 05/04/09 • Leave a comment! I am a big fan of Spore. The game is way cool and very original. I have spent lots of time playing it on the PC and begin able to grow your own creature from a single cell organism into an intergalactic civilization is too cool. 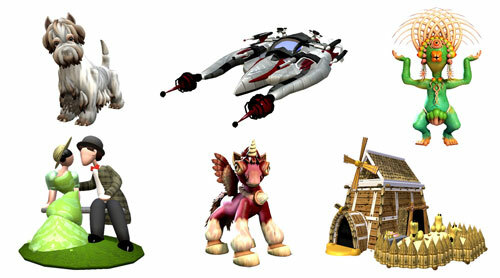 EA has announced that since the Spore Creature Creator launched in June of 2008 players have created and up loaded about 100 million creations. Out of that massive number, EA says that 31,017,761 of them are creatures. That means that the Spore universe has about 19 times as many creatures as the Earth. At least until we find the cave entrance into the dinosaur realm in the center of the Earth, obviously.